Whether you’re around town, climbing a mountain, or exploring crystal clear waters, we’ve got you covered. We manufacture over 100 products that help provide a better experience outdoors; products that are tested and proven in the most extreme environments so that you know they’ll work anywhere. 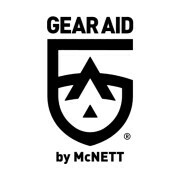 McNett’s family of brands help you drink water anywhere, get more from your gear, improve your odds in the field and travel smarter.